This article describes how superusers can create other users. Users can create other users if they are designated a superuser. (Please contact support to have your user login be converted to a superuser.) Superusers gain access to two additional sections in the Setup tab beyond the standard Players section — Users and YouTube. 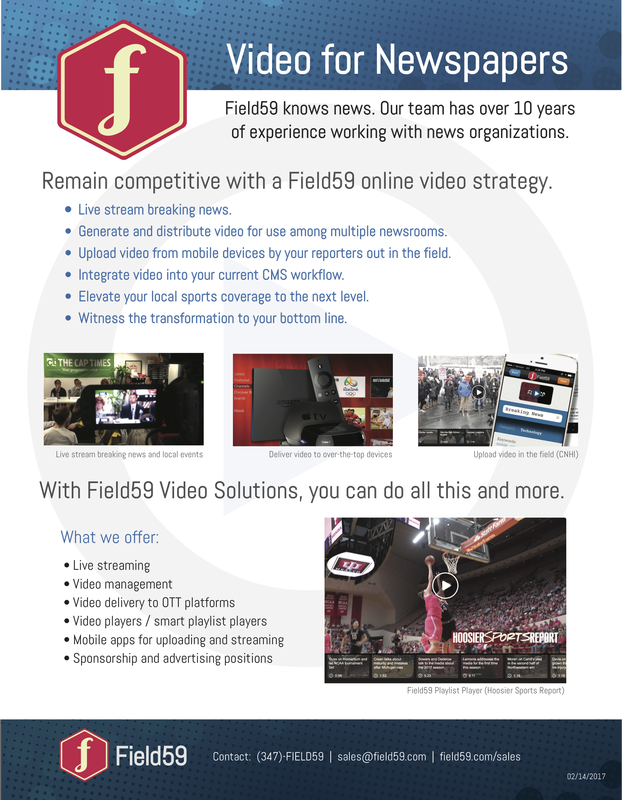 To access the Users area of the Field59 Video Manager, click the Setup tab, then click the Users button on the left side of the screen. A list of your account’s users will appear. The Users section shows you what active and deactivated users are associated with your account(s). For all accounts that the superuser is associated with, the superusers can also add and remove those accounts from other users. To create a new user, click on the orange New button to open the Create User. Populate the User Name, E-Mail Address, Password/Repeat Password, First Name and Last Name fields with the appropriate information. When you are finished, click on the Save button to activate the user. 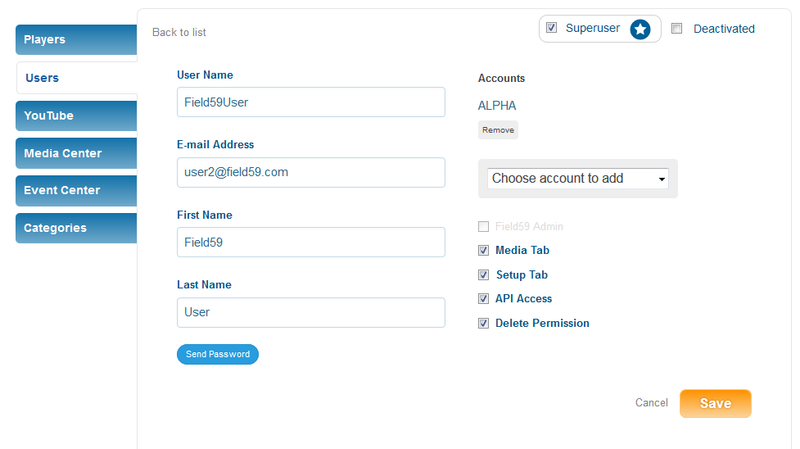 Superusers can also deactivate a user by clicking on the user and checking the Deactivated box at top right. This prevents the user from being able to log in.